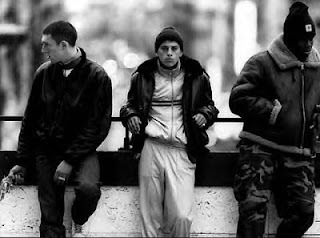 When Kassovitz’s bracing 1995 feature won the Best Director prize at Cannes, it divided critics into two camps: Those who found it a dazzling, urgent piece of new French realism, and those who dismissed it as slick, Hollywood-influenced attitudinizing. 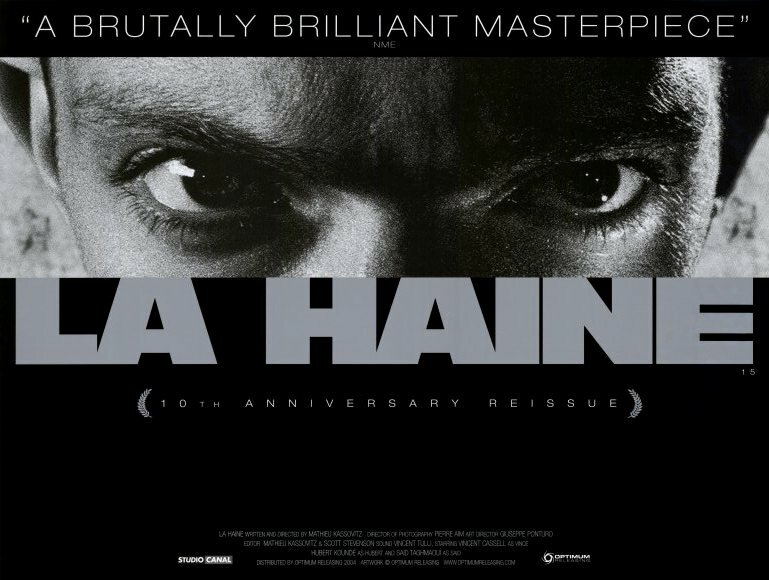 La Haine covers a day in the life after a riot, this one sparked by the hospitalization of an Arab teenager due to police brutality. 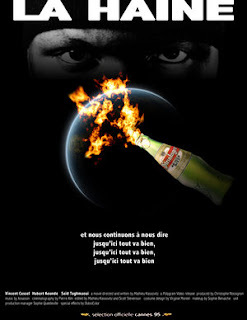 Vincent Cassel, Hubert Koundé, and Saïd Taghmaoui play best friends—a Jew, an African, and an Arab, respectively—who embark on a 24-hour odyssey after Cassel finds a missing police revolver and vows revenge if the brutality victim dies. 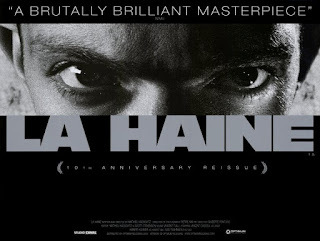 Composed of thrillingly unpredictable scenes of the boys hanging out, spitting rapid-fire dialogue loaded with pop-cultural references and chest-thumping braggadocio, Kassovitz assured effort exudes a passionate ferocity that sits comfortably alongside the early works of Martin Scorsese and Spike Lee.